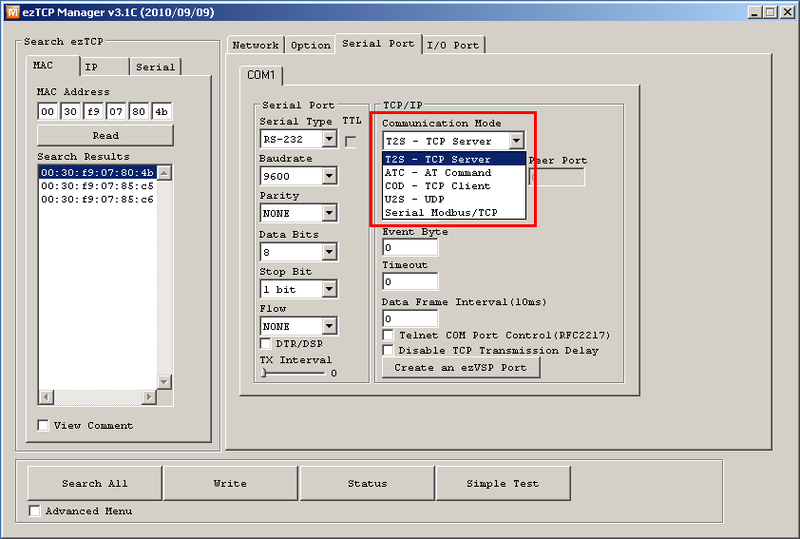 How can I change the communication mode(ezTCP Mode)? There is specific firmware for each communication mode in case of EZL-50 and EZL-60. Therefore, you should upload the each firmware to change the communication mode. How can I change the communication mode of EZL-50 and EZL-60? - You should download a specific firmware for each communication mode. 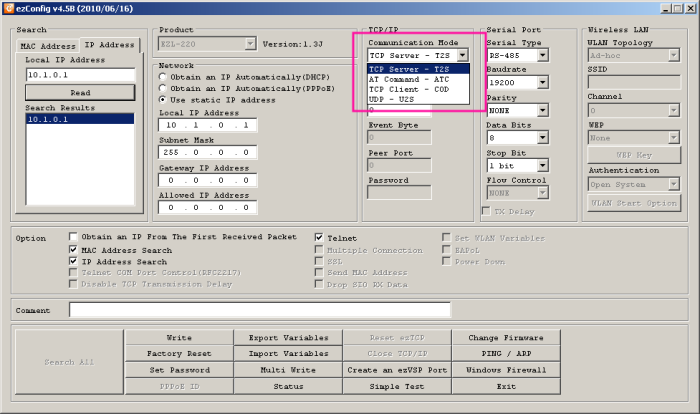 - Please check EZL-50’s MAC Address label before upload it. - You should upload firmware version 2.0a or higher for EZL-50R. - Other EZL-50 (for example EZL-50A) should download firmware version 1.x. - If you upload a wrong firmware, EZL-50 does not operates. FAQ No.71 What does the communication mode(ezTCP Mode) mean? FAQ No.169 What is the operation mode? How can I enter each operation mode? FAQ No.55 What is Server(T2S) mode? FAQ No.53 What is AT command(ATC) mode? FAQ No.54 What is Client(COD) mode? FAQ No.52 What is UDP(U2S) mode?